On each of her LPs to date, California-bred singer, songwriter and harpist Joanna Newsom has expanded and, always subtly, redefined her sound. On her last album, 2010's magnum opus Have One On Me, that meant stepping back slightly from the density of her ornate sophomore album, 2006's Ys. Have One On Me was sprawling, but structuring it as three sets of six songs each made every move in her elegant, urgent suites feel controlled and purposeful, as Newsom unfurled her magnificent compositions with an unerring sense of narrative and musical mastery. 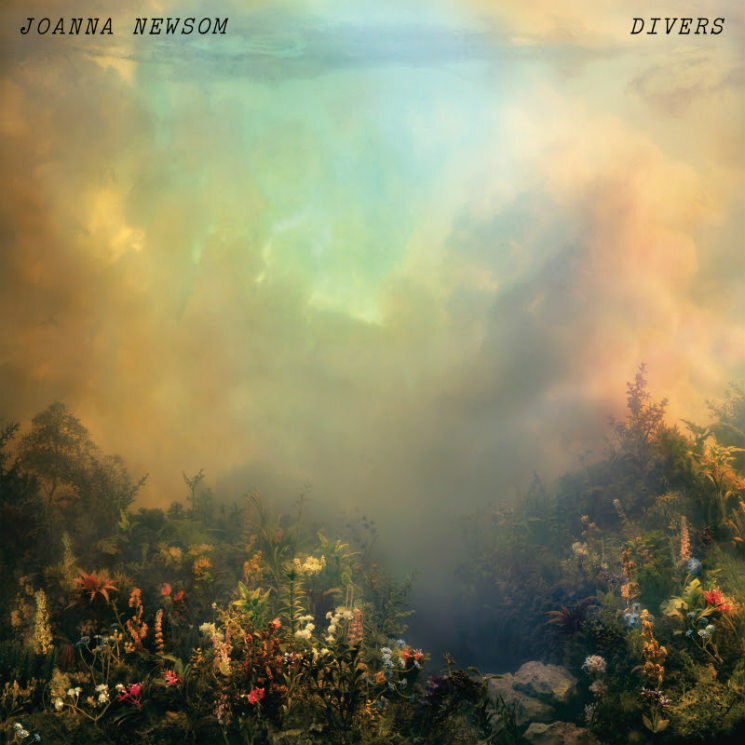 Five long years later, Newsom has returned with fourth album Divers, a shorter but no less imaginative LP that finds the singer returning to the conventional track runtimes of her debut, The Milk-Eyed Mender, but unfettered by the cutesy, freak-folk connotations that unfairly dogged that album. For the most part, that means more of the striking melodies and tortuous chord progressions she's long been known for, arranged more inventively than ever before: "Leaving the City" begins with staccato harp plucking, but it's accentuated with scratching, distorted organ and a thumping kick-snare combo that drives the spiralling chorus; a sombre accordion converses with a fiddle and piccolo on "Waltz of the 101st Lightborne"; subtle patches of wheezing, scratchy organ add whimsy to the towering "You Will Not Take My Heart Alive," the chorus of which finds Newsom scaling previously unknown heights with her multi-faceted, idiosyncratic voice — which is better than ever on this album — as she promises, "I won't come 'round this way again, where the lonely wind abides / and you will not take my heart alive." If there's a common lyrical theme here, it's difficult to discern — Newsom touches on death, love and, on the dynamic, piano-driven march "Sapokanikan," the passage of time — making Divers feel more like a collection of short stories than a novel. The cumulative effect is nonetheless dazzling, especially on the title track centrepiece, a seven-minute ode to the isolating, disorienting nature of lost love constructed around a pretty, lilting harp melody that builds but, pointedly, never quite reaches a climax. Joanna Newsom Talks Andy Samberg and Lord of the Rings on 'Late Night,' Performs "A Pin-Light Bent"